Since colleges and universities in the United States are very expensive, most families are not able to pay everything up front or at all. Thankfully, the federal government provides financial assistance to families who can't afford to pay for college through scholarships, loans and grants. A grant is a form of money allocated to a student's college tuition and other related expenses. While a grant will usually not be enough money to pay for college, it certainly helps, especially because grants typically do not need to be paid back to the government, unlike loans. One of the biggest reasons students are hesitant about attending college is because of the high costs associated with getting a degree. The United States has some of the most expensive tuition rates in the entire world. Because most jobs and career paths require a college degree, most young people don't have a choice when it comes to getting their higher education. Therefore, they will have to find ways to pay for college, which generally involves taking out loans that will eventually need to be paid back, usually with very high interest rates. Though a loan is not considered free money because it will have to be paid back, grants and scholarships are different. 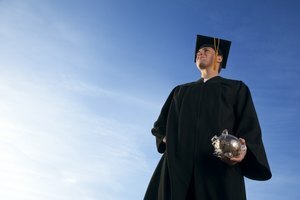 Scholarships are unique in that it's money funded to a student that is usually based on his academic achievement or athletic ability. If you've ever heard the term "full ride," that's when a student gets enough scholarship money to be able to attend school for free. Unfortunately, unless you really stand out as a student, scholarships are not easy to come by, and students shouldn't bet on getting one as the only way to pay for school. That's where grants come in. Grants are similar to scholarships in that it's free money that the student can use to pay for college. Unlike scholarships, grants provided by the federal government aren't based on the student's academic achievement or athletic ability. If the student has already been accepted into a college, then the grant will be given based solely on that student's financial need. If the federal government determines that you are in need of this type of financial assistance, then you will be awarded grant money that you can apply toward tuition, fees and other expenses. Best of all, this grant will not need to be paid back, although there are some extenuating circumstances in which it will need to be paid back. If you are wondering how you are going to afford to pay for school, applying for a grant is one of the best options and the first route you should take. However, before you can apply for a grant, you must first determine whether or not you are eligible to apply for a grant. Once you know that you are eligible, you can start the next step in applying to FAFSA to seek out a grant. Before applying for a grant or other types of financial assistance, you must understand what FAFSA is and how it works. FAFSA stands for "Free Application for Federal Student Aid." 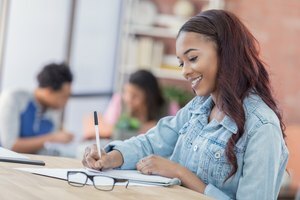 Unlike the many other things that are not free when it comes time to apply for college, such as ACT and SAT test fees, college applications and sending scores and transcripts to your prospective schools, this application is free so that every student can have access to it regardless of their socioeconomic background. Within the FAFSA application, students can apply simultaneously for grants, work-study, student loans and aid specific to the state in which you'll be attending college as well as aid specific to the college you'll be attending. You will be asked a variety of different questions about your family's income, your expenses and tax information so that the government can determine how much financial aid you are eligible to receive, if any. From the application, they will create your very own financial aid package. What Is the Deadline for FAFSA 2018? In addition to having all the materials available so that you can fill out your FAFSA application, you also need to be aware of the deadline. Each year, the FAFSA application deadline is different from state to state, and you can check the FAFSA.ed.gov website under "Student Aid Deadlines" for specific information. Though each state may have their own deadlines, the first thing to check is the federal deadline. For the federal deadline, the application always opens on October 1 of each year, and then you will have quite a while to apply. If an application opens on October 1 of 2018, for example, then for the 2018-2019 year, you will be able to submit your application anytime before June 30, 2019. Then, you will have until September 14, 2019 to submit any corrections or updates. However, you're also able to apply from when the previous year's application window opens. State deadlines may be a little bit different, and they are sometimes sooner than the federal deadlines. For instance, Massachusetts residents will need to have had their applications in by May 1, 2018 for priority consideration for the 2018-2019 school year. 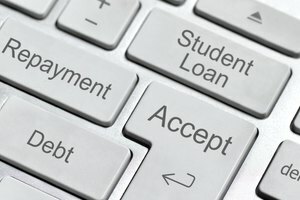 If that sounds confusing, think of it this way: If you apply to college in the fall semester of your senior year, and you get your acceptance letter in April of your senior year, then you would have about a month to complete your FAFSA form before starting your freshman year of college that next fall. After checking state deadlines, you will have to check your specific college's deadlines as well because they usually encourage their students to get the FAFSA in as soon as possible. Keep in mind that federal aid, especially grants, are given on a first come, first served basis. Therefore, the longer you wait to fill out and submit your FAFSA application, the less chance you have of getting the highest amount of grant money available. How Much Grant Money Will I Get? Once you submit your FAFSA form online, your application will take between three and five days to process. If you submit the form by mail, then it can take seven to 10 days to process. In the meantime, make sure to bookmark the FAFSA page and keep your FAFSA ID/username and password in a safe place so you can log in to see the results or make any changes to your application if necessary. Based on the information you provided on your FAFSA application, the government will use a formula to figure out your EFC, or Expected Family Contribution. With this information along with information about your upcoming year in school, your status (part time or full time) and the cost of attendance at your college, the government will decide how much grant money you will get. If you're wondering, _"_How much was the Pell Grant in 2018?" the maximum amount for a Pell Grant for the 2018-2019 school year was $6,095. Since this was the most you could get, there's a good chance you would only get a portion of this amount. The maximum amount changes every year. 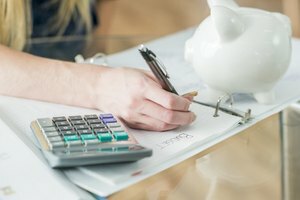 How Can I Use My Grant Money? When your grant award is released, it usually will be sent straight to your school. The college will first apply your grant money and federal loan money directly to your tuition costs and room and board costs if you live on campus, as well as other related fees. If there is any money left over after that, then you can use your money toward other things, such as books, school supplies or living expenses. It's important to be very wise about where your grant money is going but even more so with your loan money since it will need to be paid back. Some people will actually use what's left over and apply it toward interest payments on their loan while they are in school. If at any point you feel you don't need the money anymore, you can cancel the loan within 120 days of disbursement. Unlike a federal loan, grants do not need to be paid back in most circumstances. That being said, there are some cases where you would be required to pay the grant back or pay a portion of it back, usually if you don't maintain your satisfactory academic performance or if you break the law. Of course, for each rule there is an exception. As long as you stay in school and work hard, you shouldn't have any problems. Federal Student Aid: What is the FAFSA? LaRock, Hana. "About Grants For College." Synonym, https://classroom.synonym.com/about-grants-for-college-13714921.html. 21 September 2018.